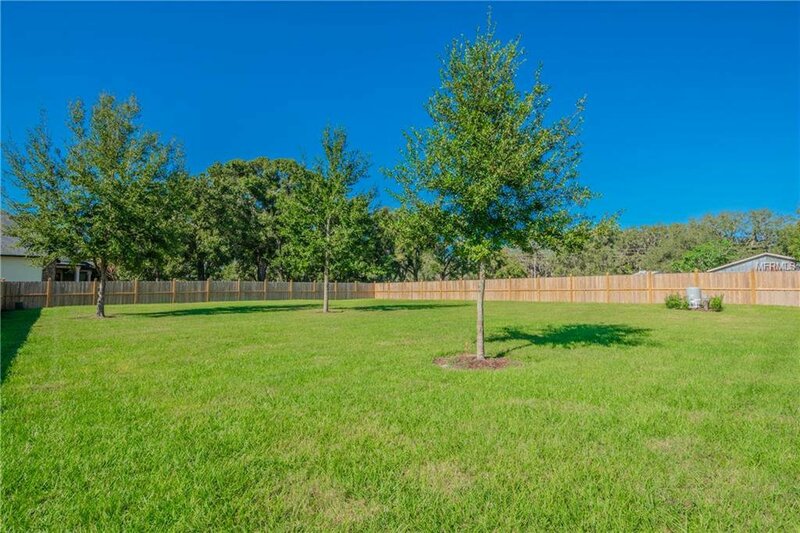 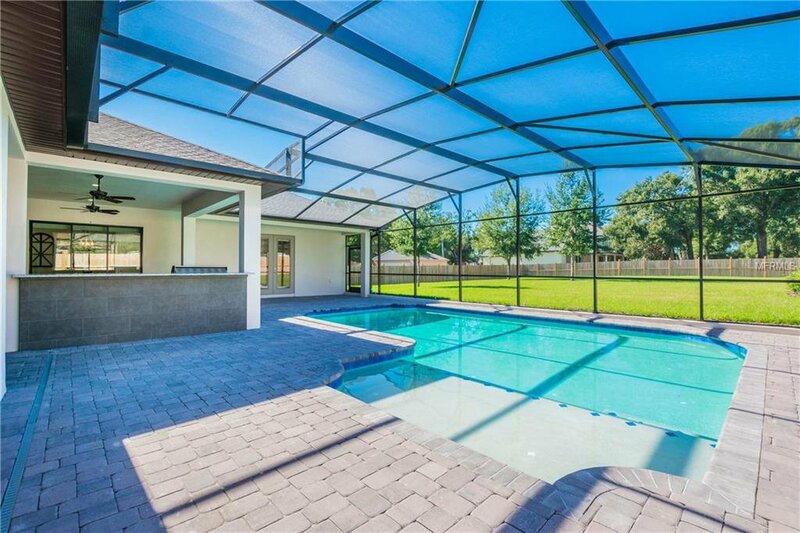 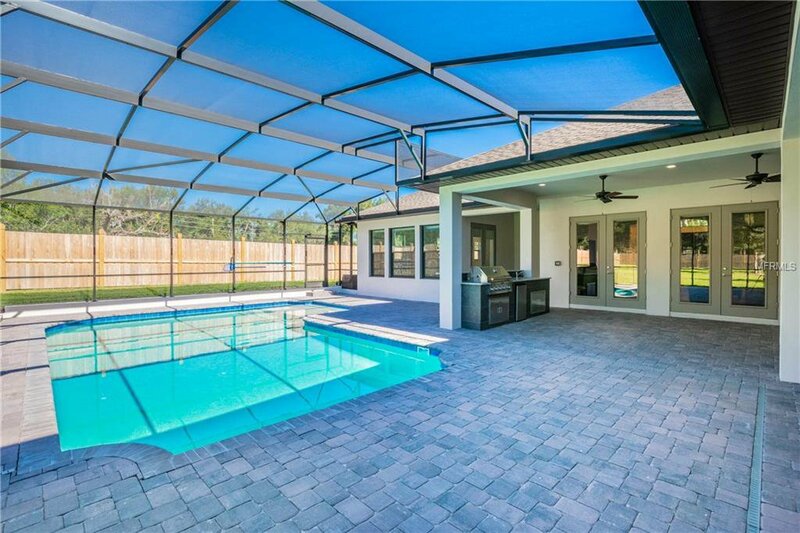 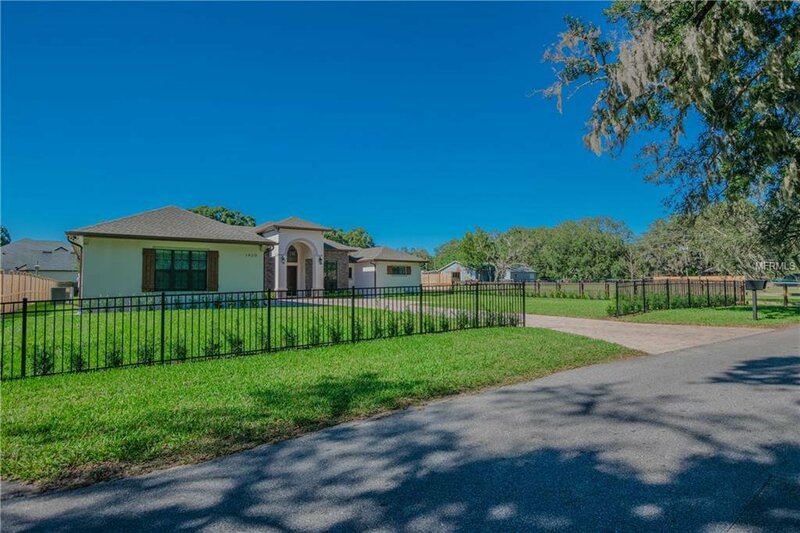 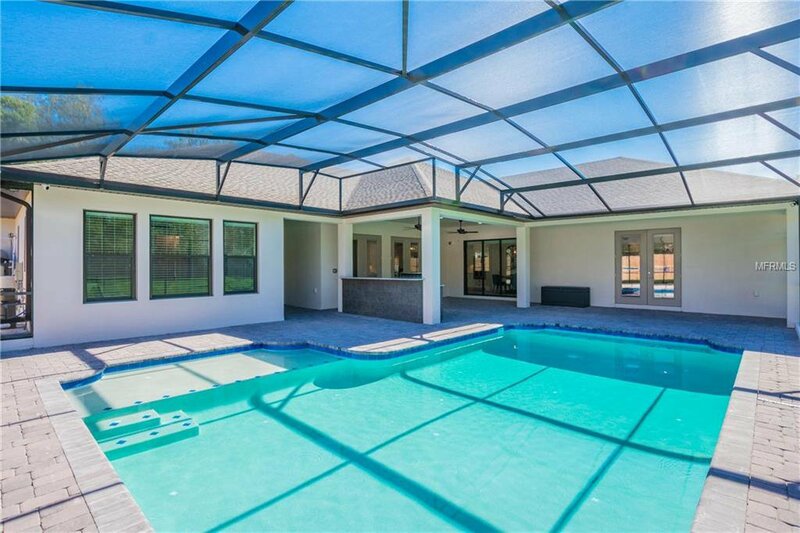 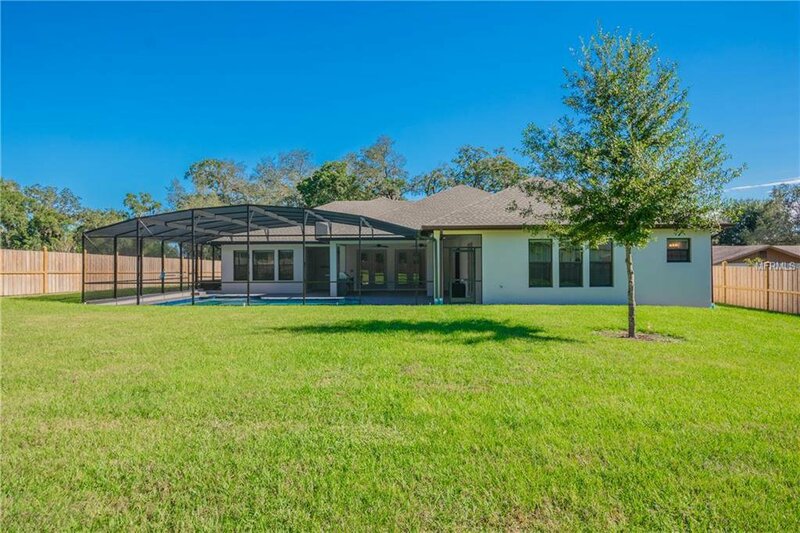 Nearly new custom pool home on 0.63 acres with a floorplan perfect for today’s lifestyle. 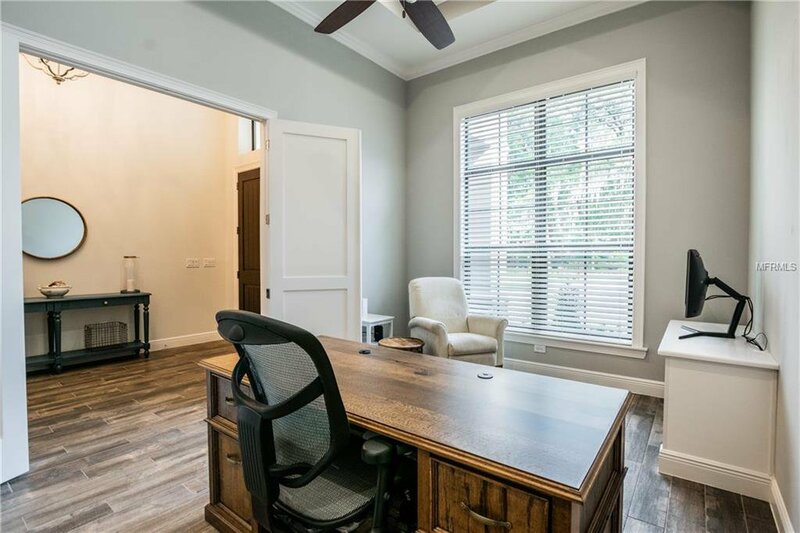 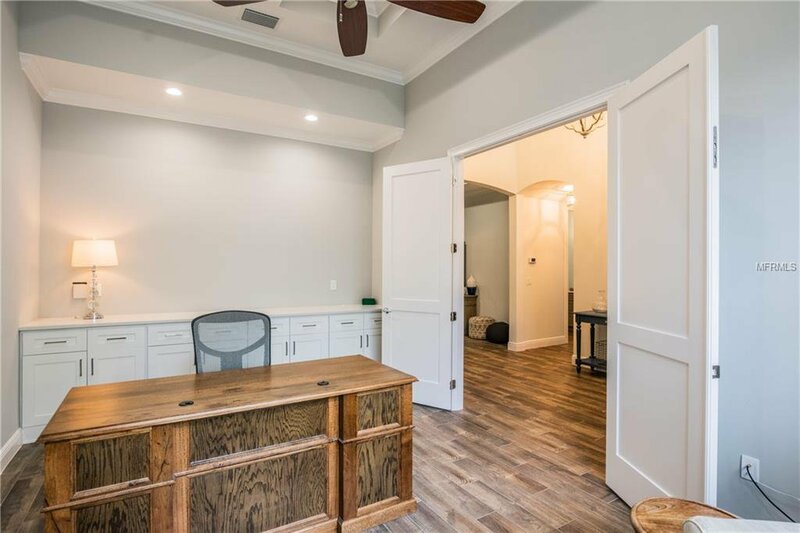 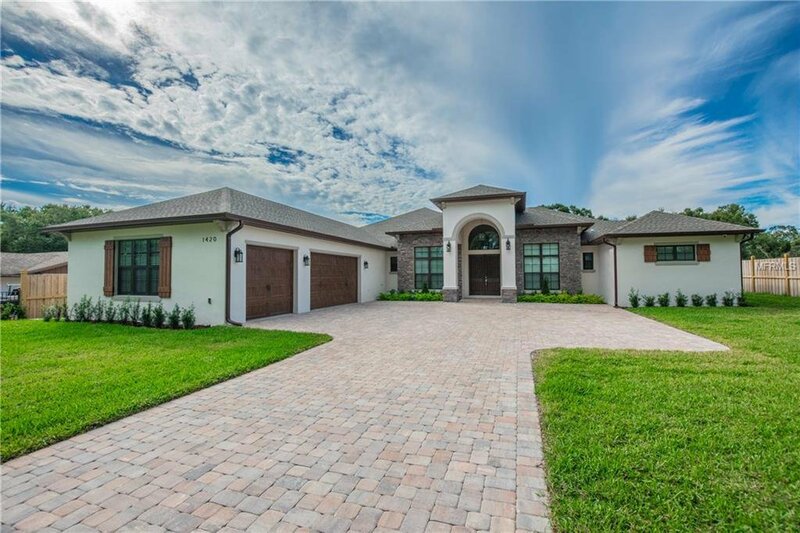 Completed just a few months ago, this 4 bedroom +office +bonus/ 3.5 bath home features beautiful finishes and plenty of storage. 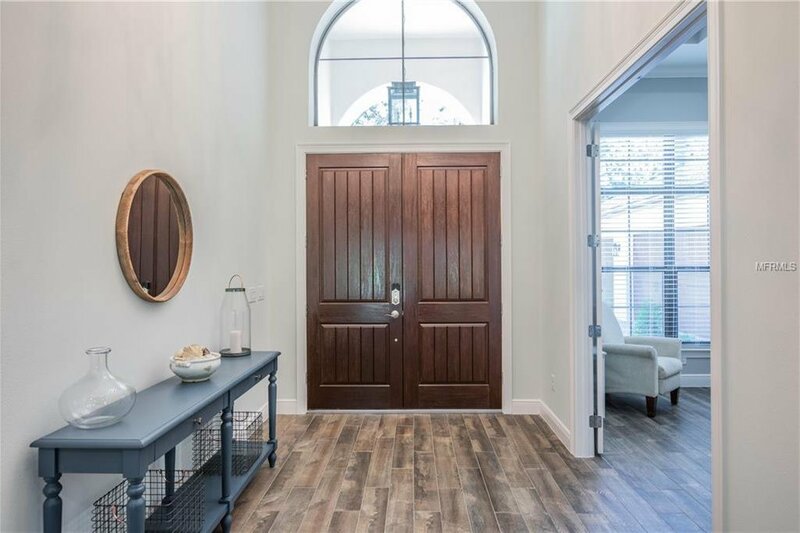 From the welcoming foyer guests will notice the upgraded wood-look tile that is carried throughout. 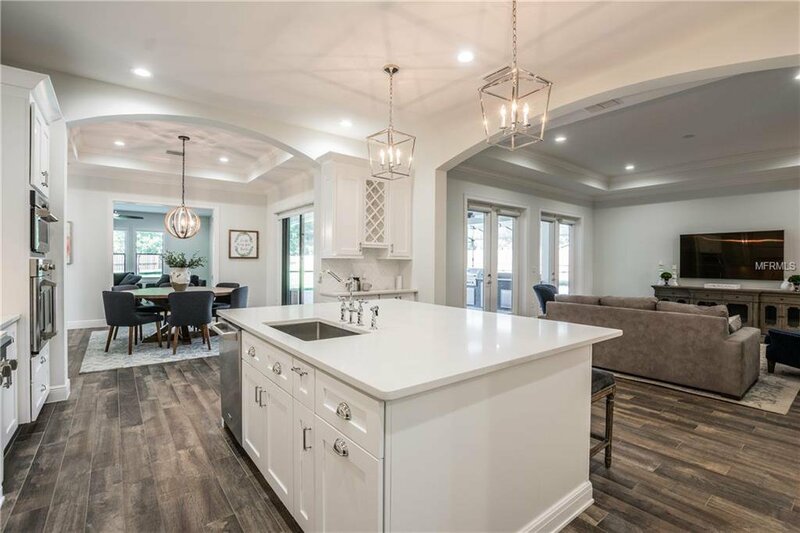 The light-filled living room is open to the kitchen which is sure to delight any chef with the large solid surface island, GE Monogram appliances including french door convection wall oven, built-in microwave/convection oven, natural gas cooktop with pot-filler, and an abundance of storage in the custom cabinetry and walk-in pantry. 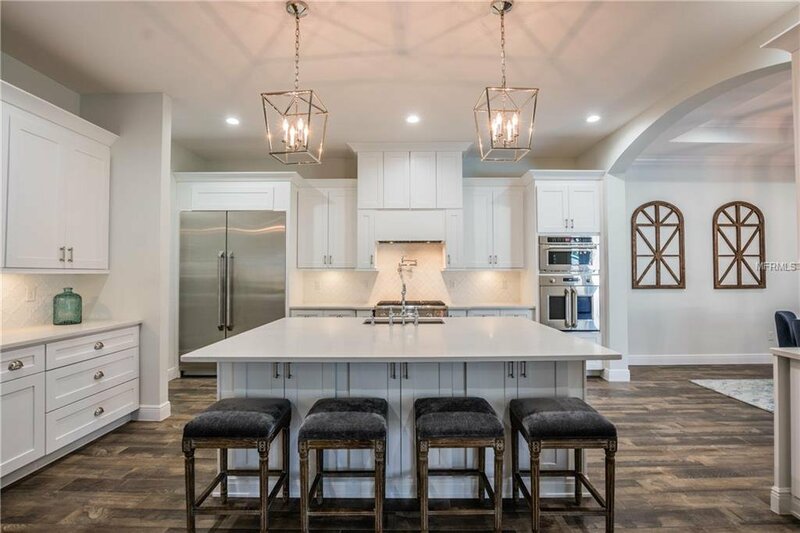 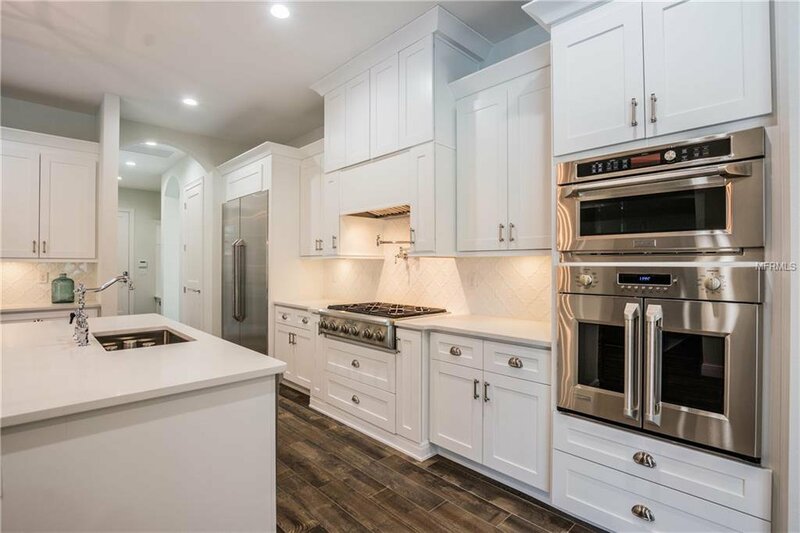 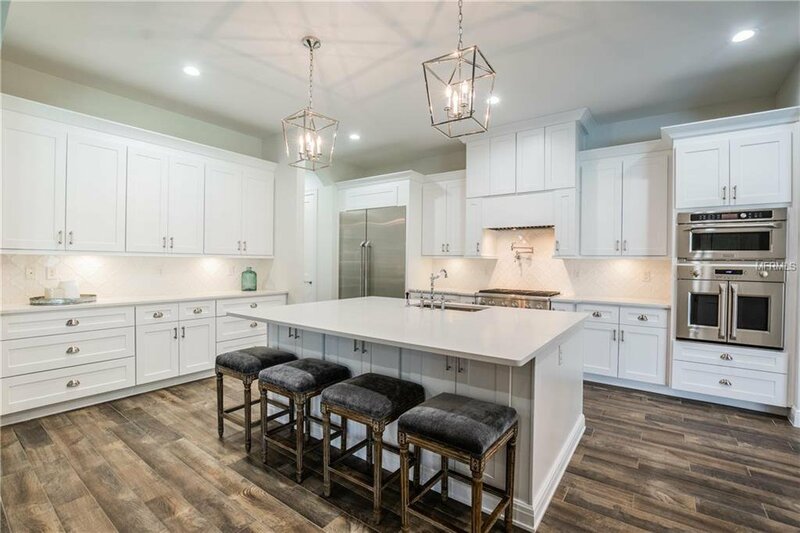 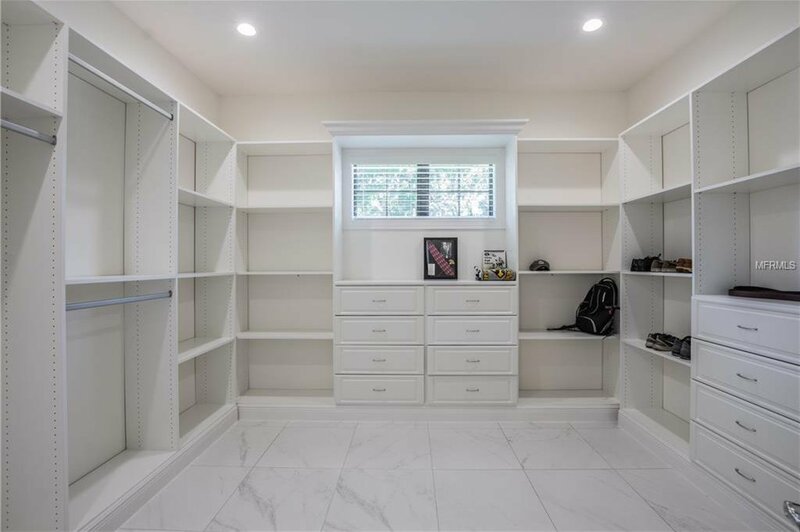 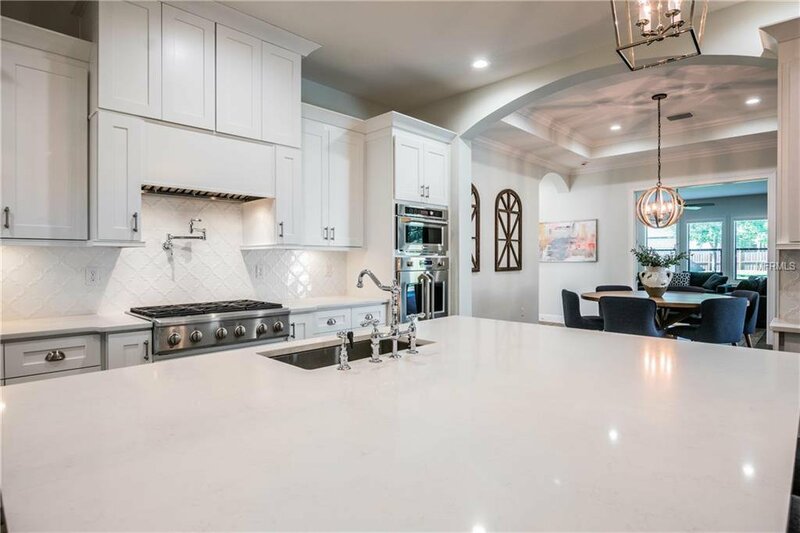 Off the kitchen are the laundry and mud rooms, both with built-ins, which lead to the oversized 3-car garage with professional epoxy flooring. 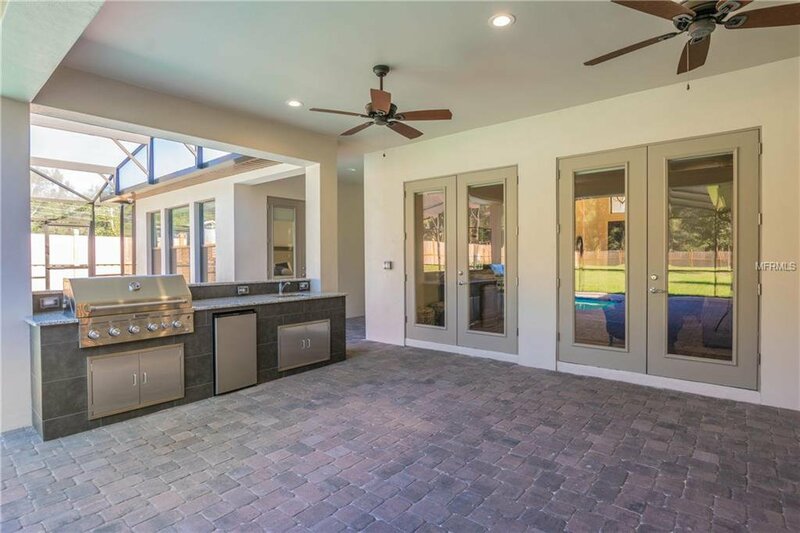 Opposite the kitchen is the dining area and bonus room which both include access to the patio, outdoor kitchen, and saltwater pool with sunshelf. 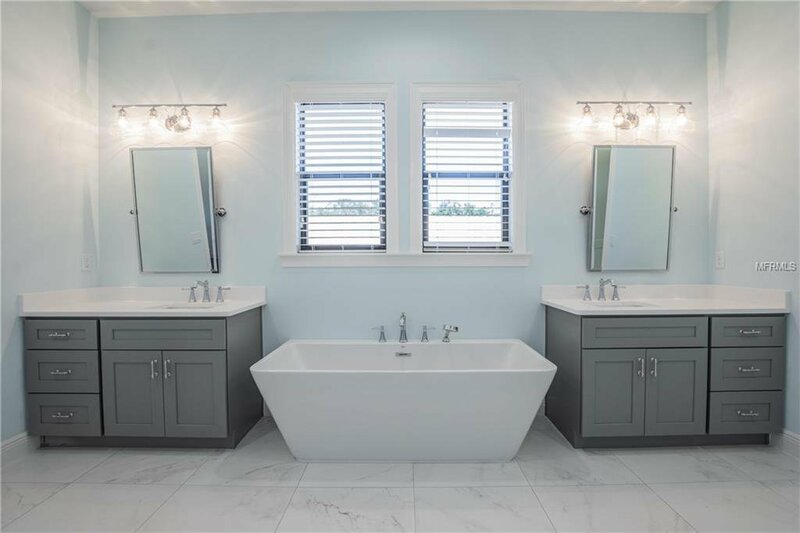 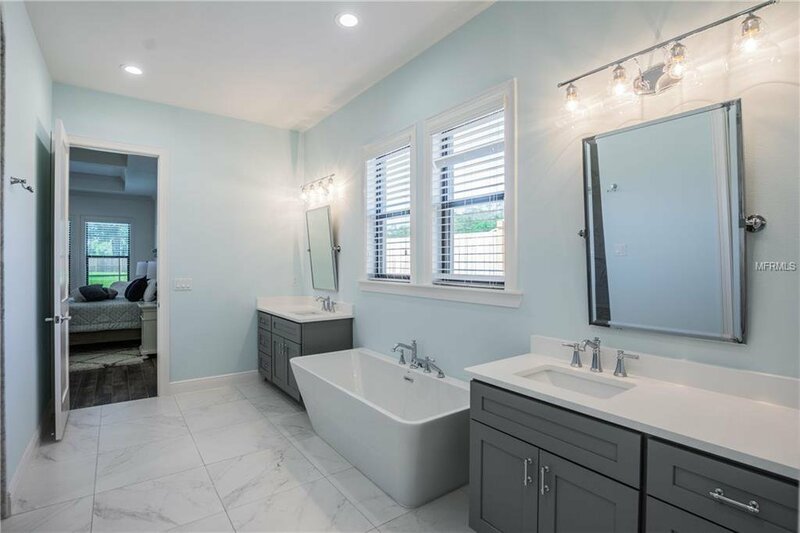 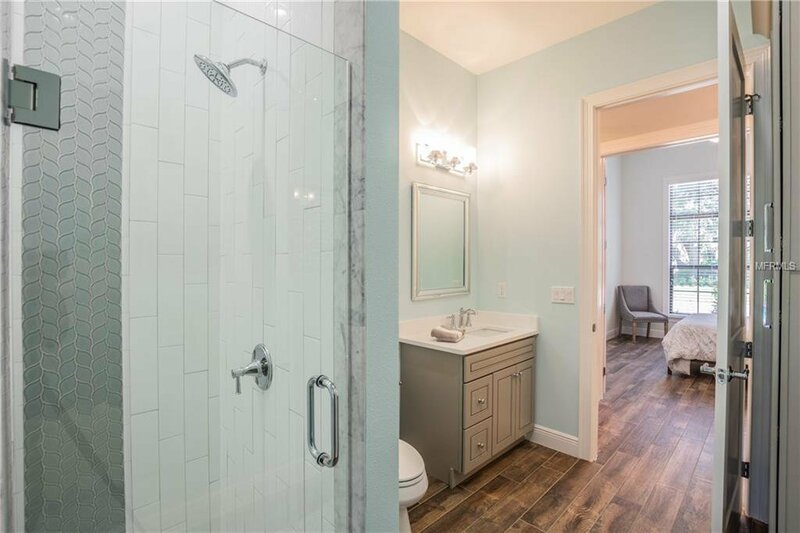 The master suite of this split plan offers a backyard view and spacious en suite with separate vanities, freestanding tub, shower with dual shower heads, and large closet with built-ins. 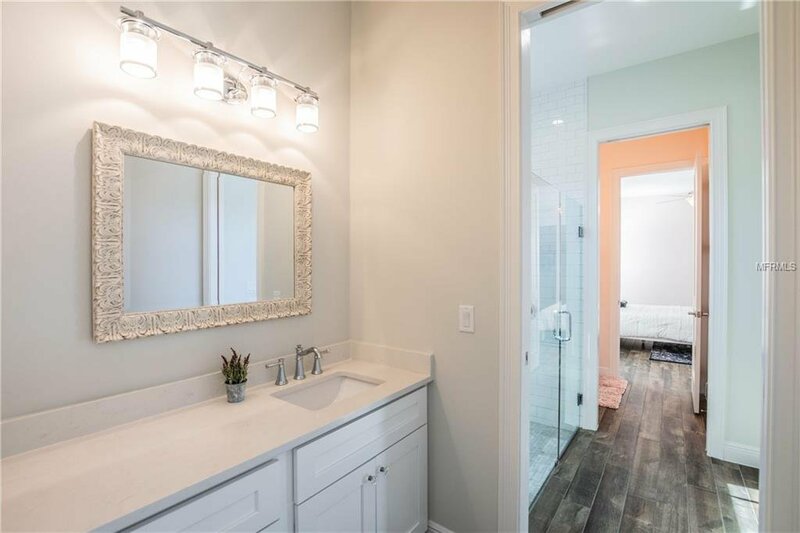 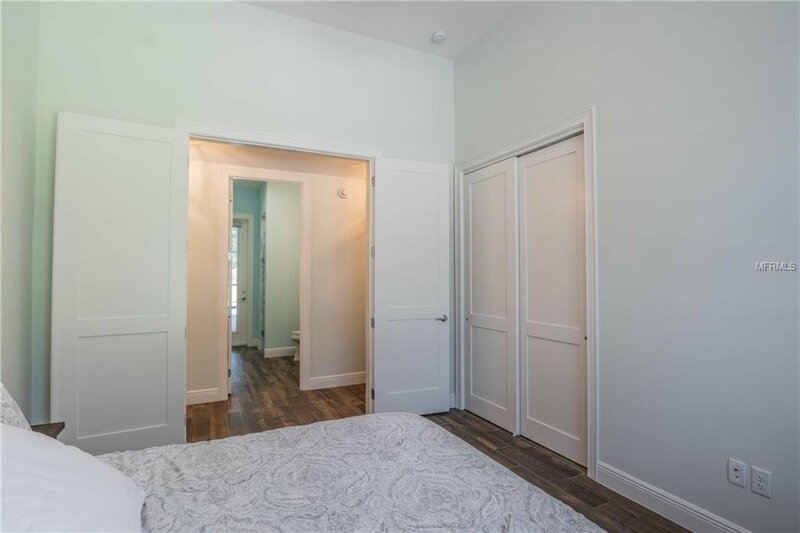 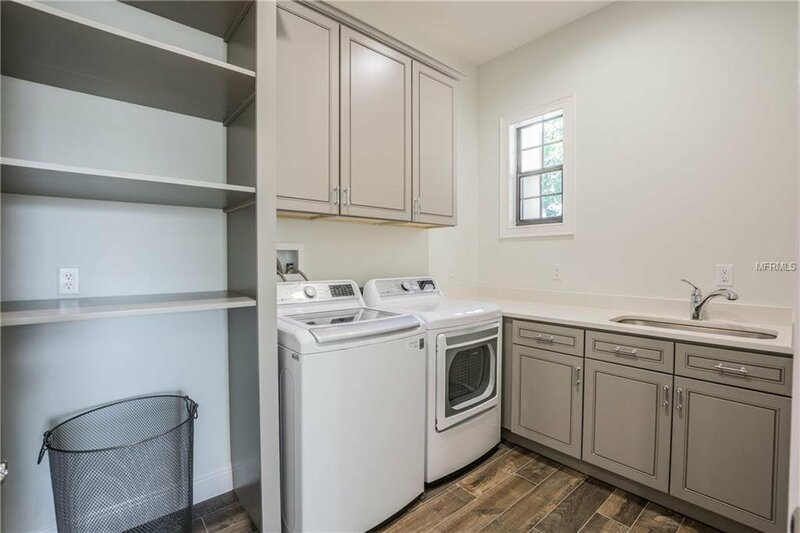 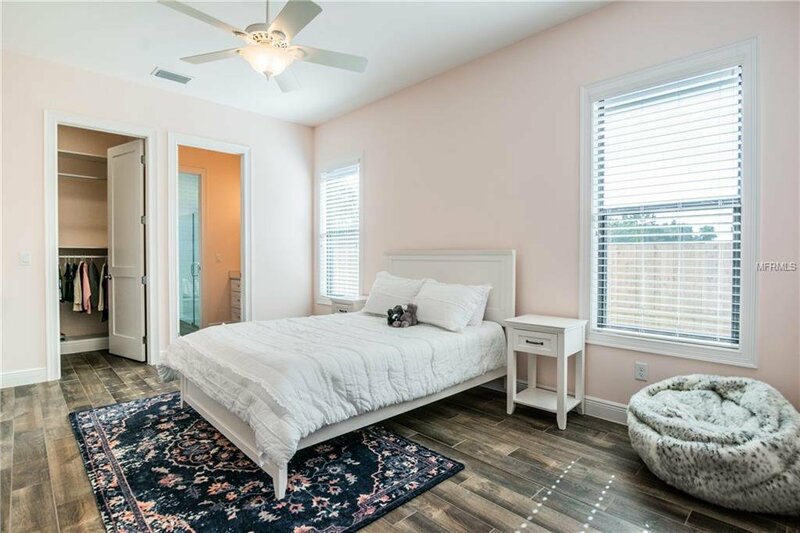 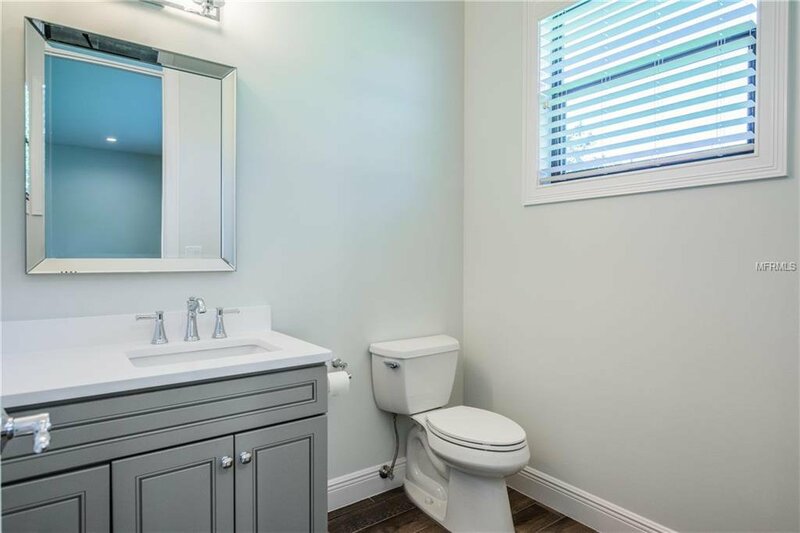 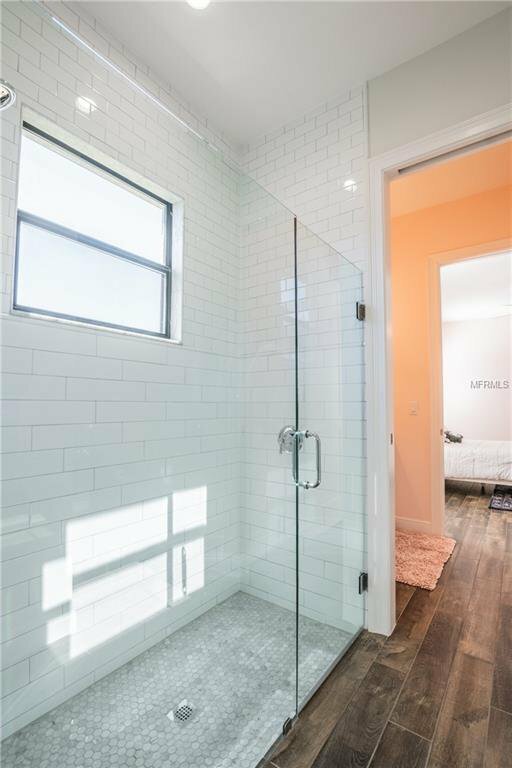 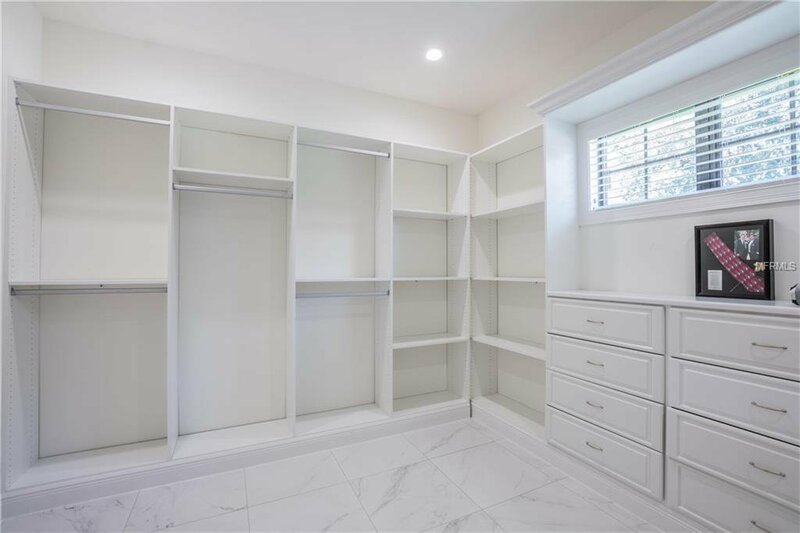 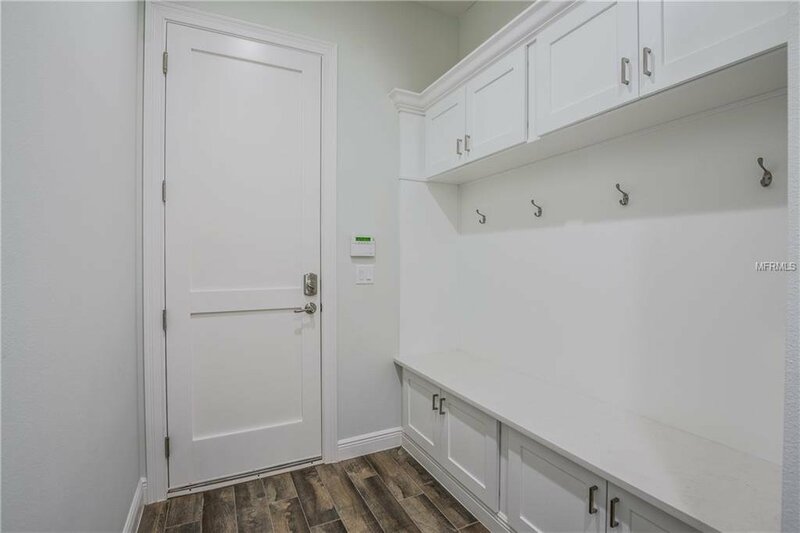 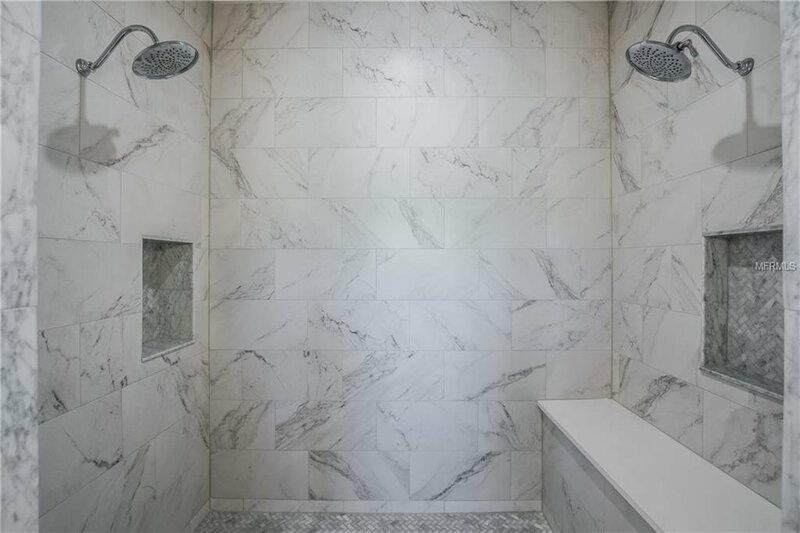 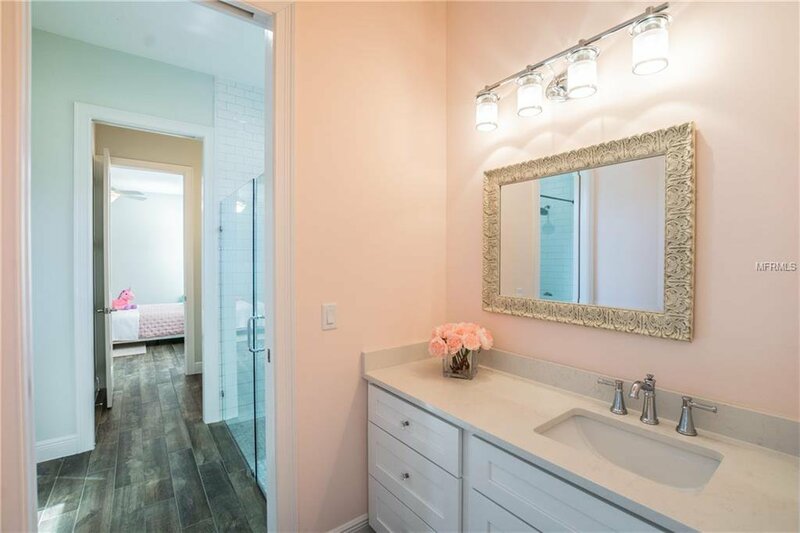 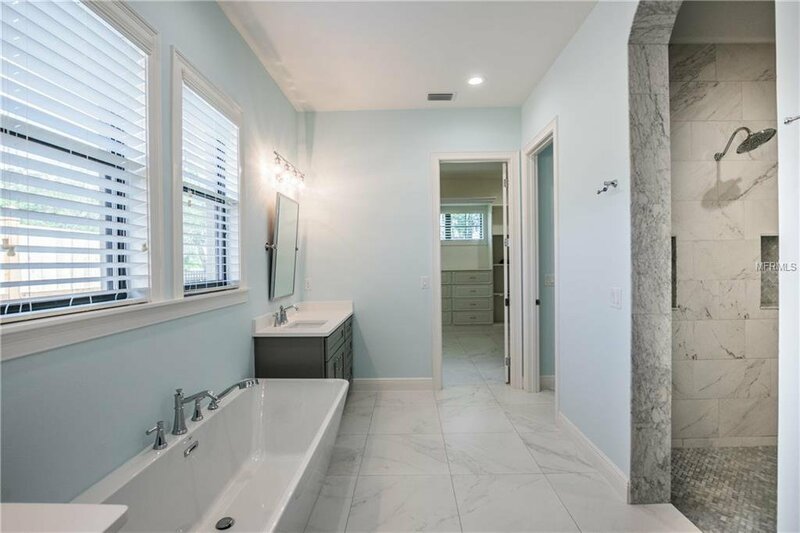 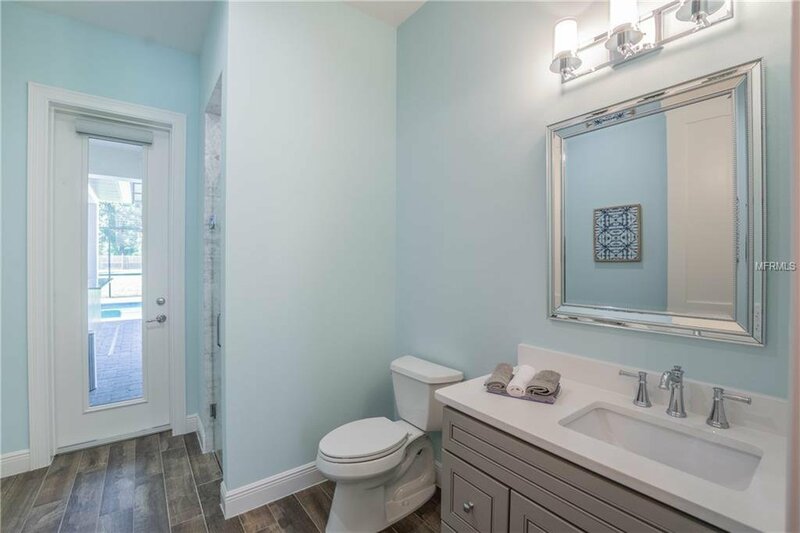 Two additional bedrooms include a shared bathroom with both a full tub and walk-in shower, separate vanities and a walk-in closet for each room. 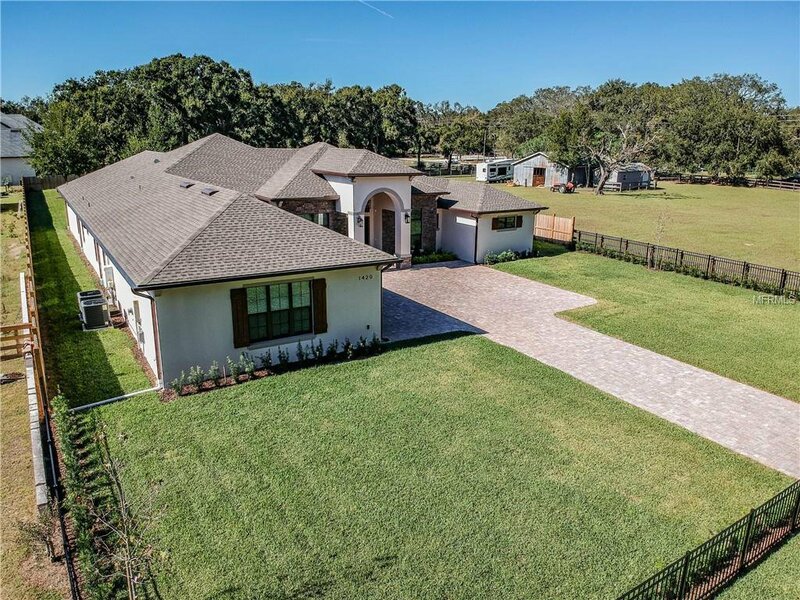 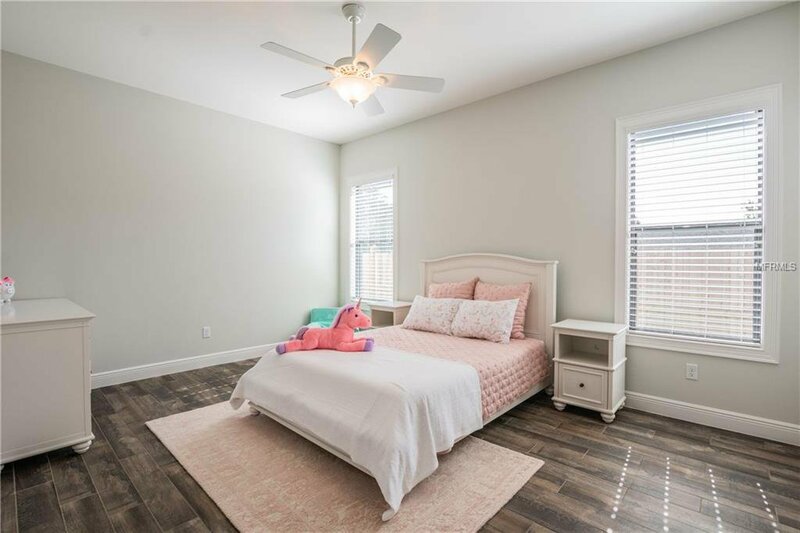 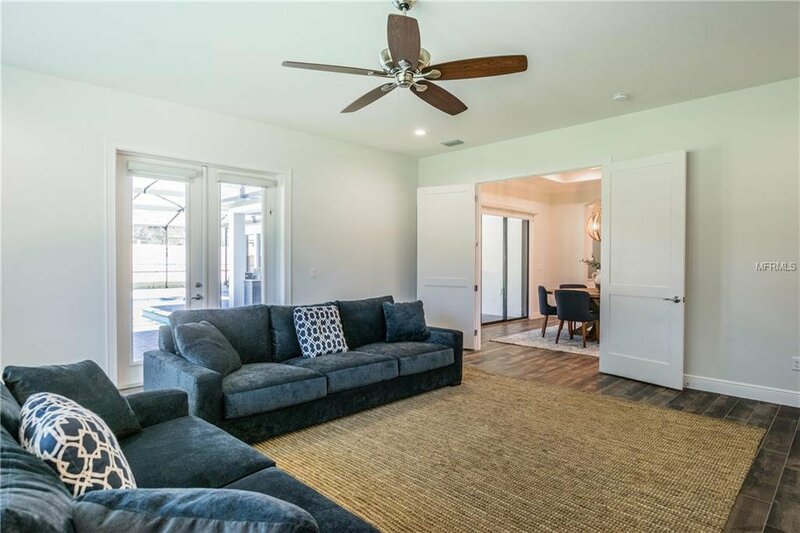 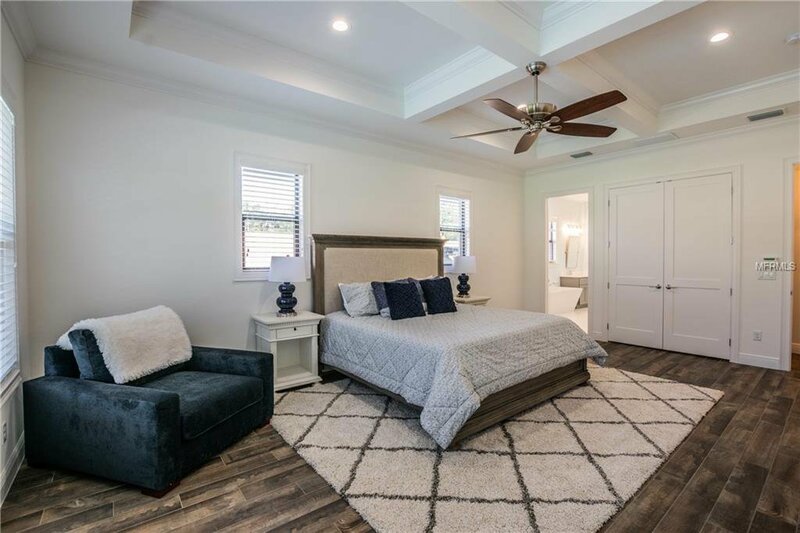 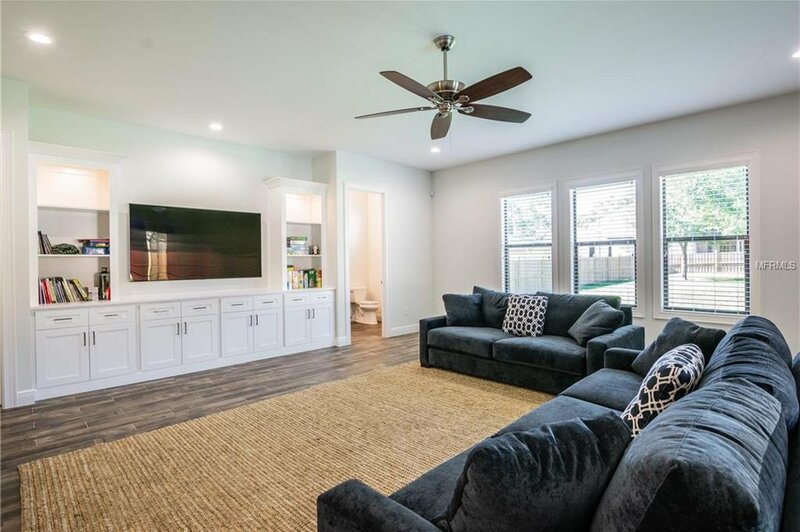 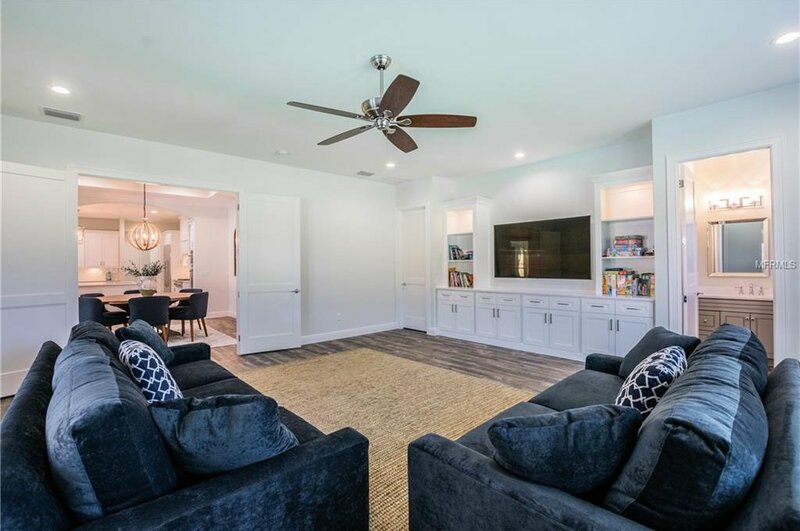 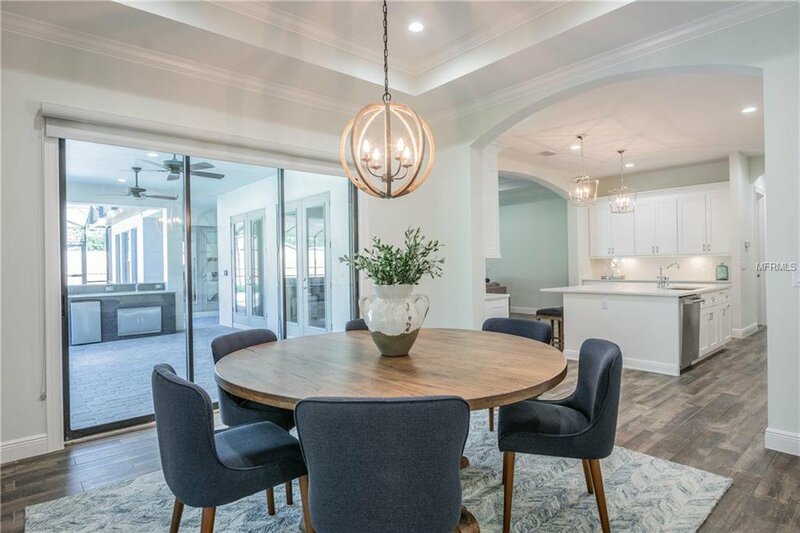 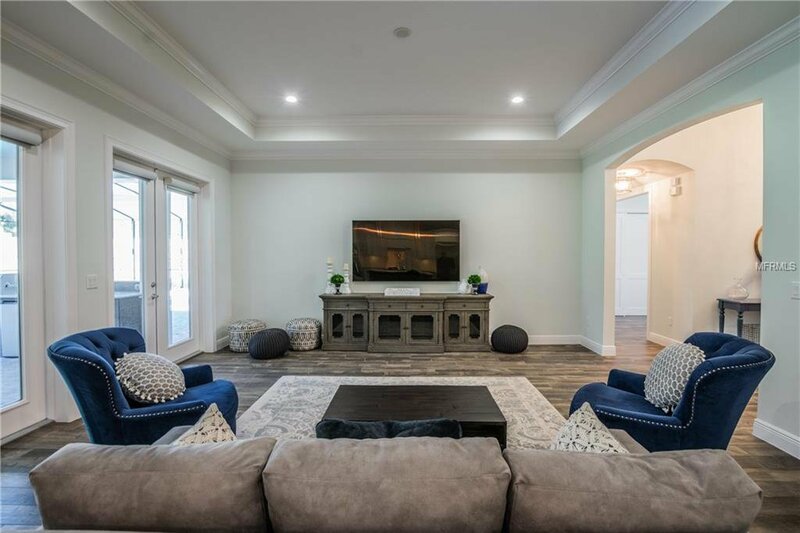 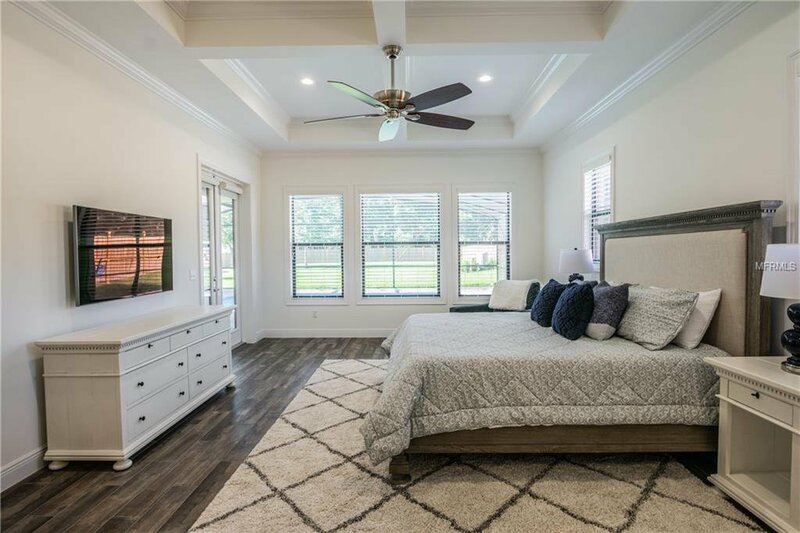 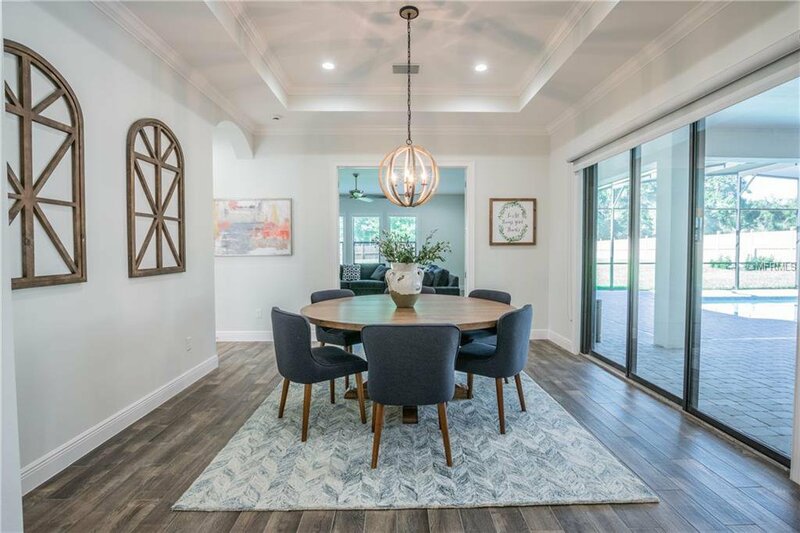 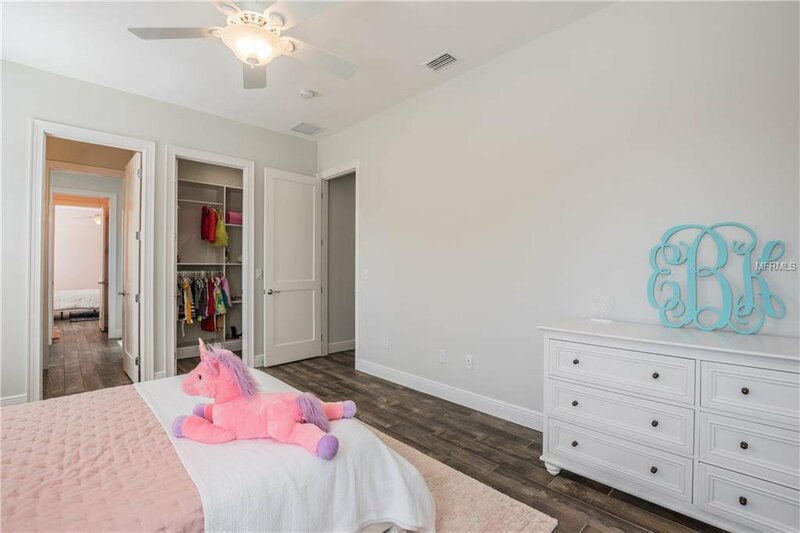 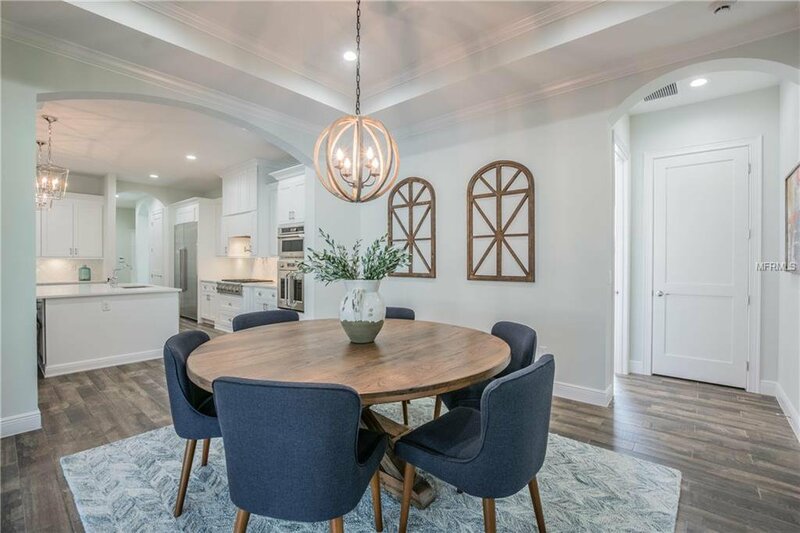 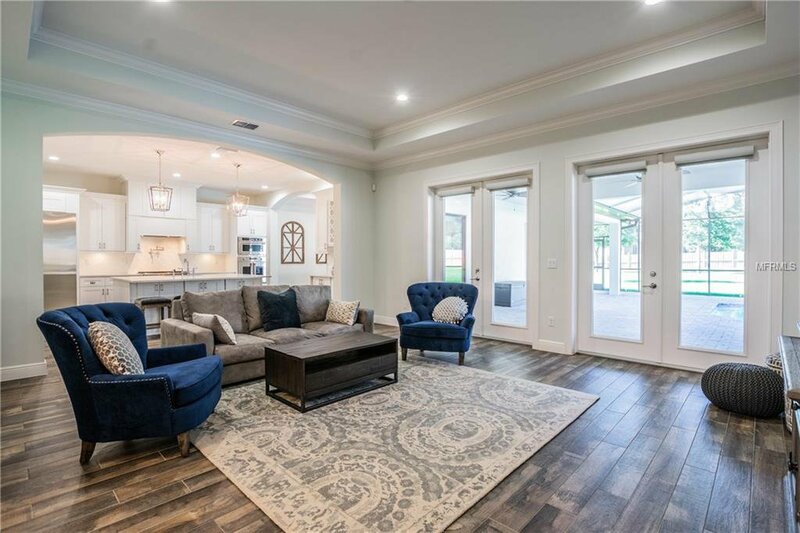 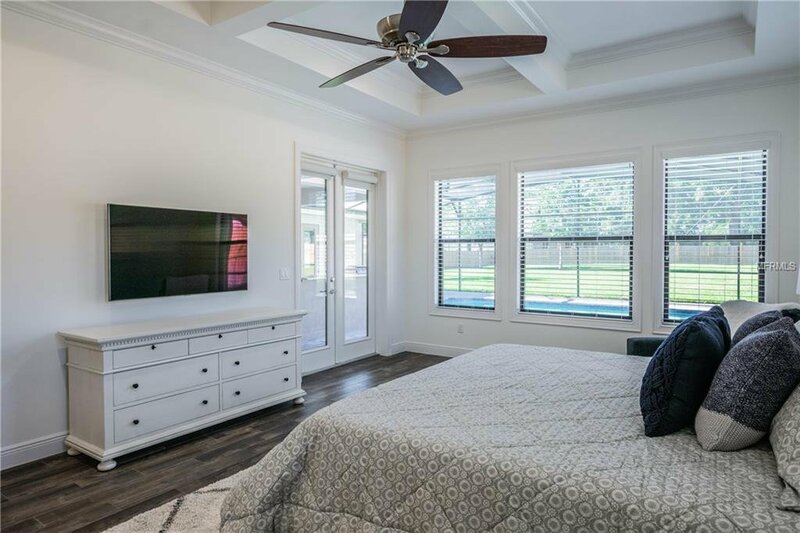 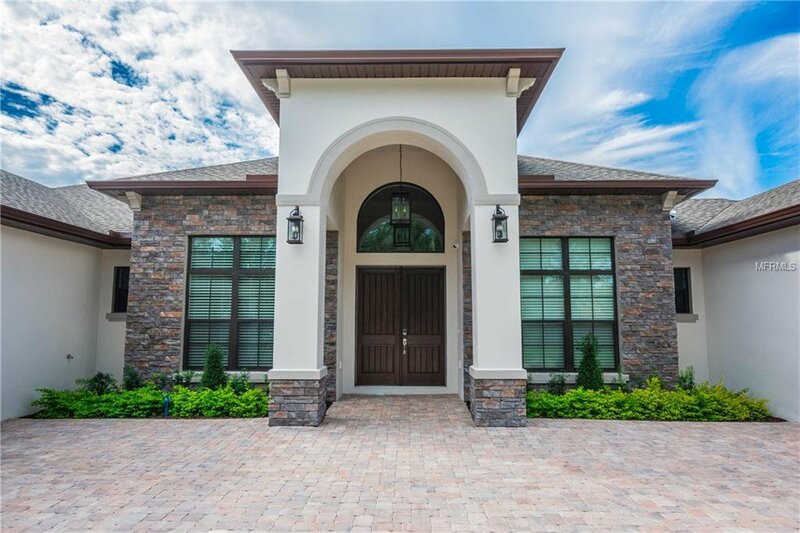 Additional features of the home are the 4th bedroom with full pool bath, office with french doors and built-ins, large paver driveway, outdoor lighting and security system, and fenced yard. 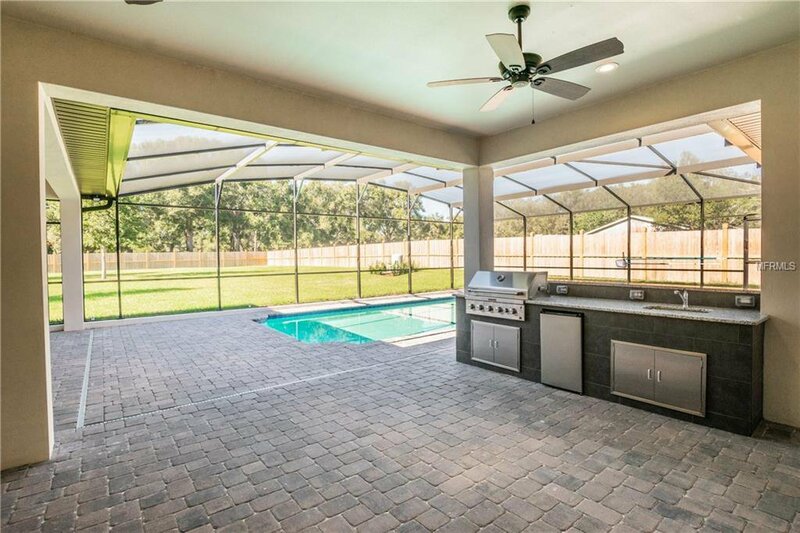 All this and more with a convenient Central Florida location.